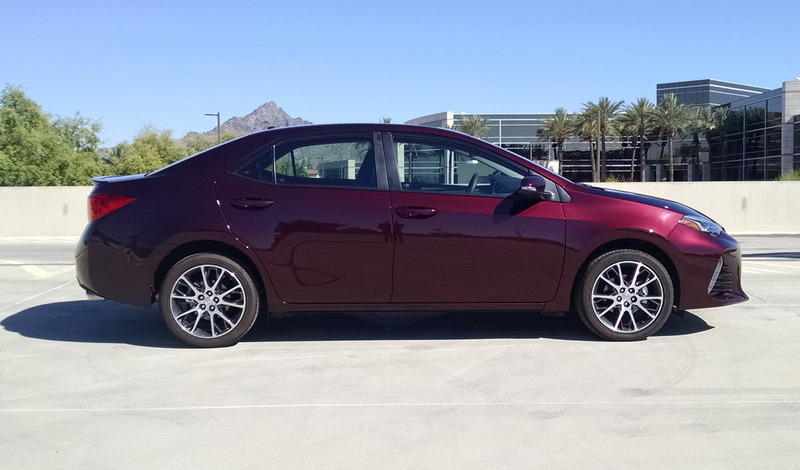 Can you believe the Toyota Corolla has been with us for fifty years? 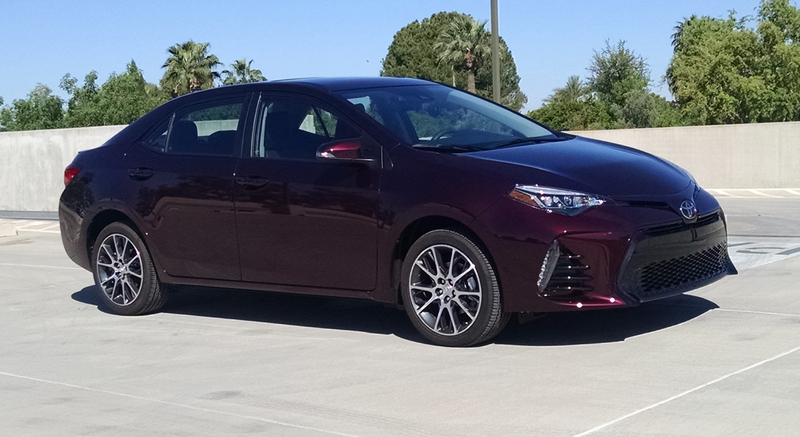 That was the first thought when we began our test of the 2017 Toyota Corolla 50th Anniversary Special Edition. 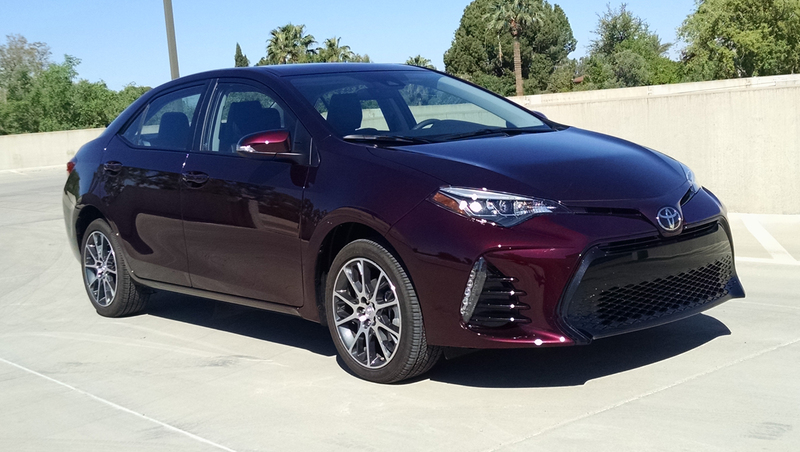 Redesigned slightly for 2017, the Corolla enjoys a revised face with a new grille and some handsome LED stacked driving lights. 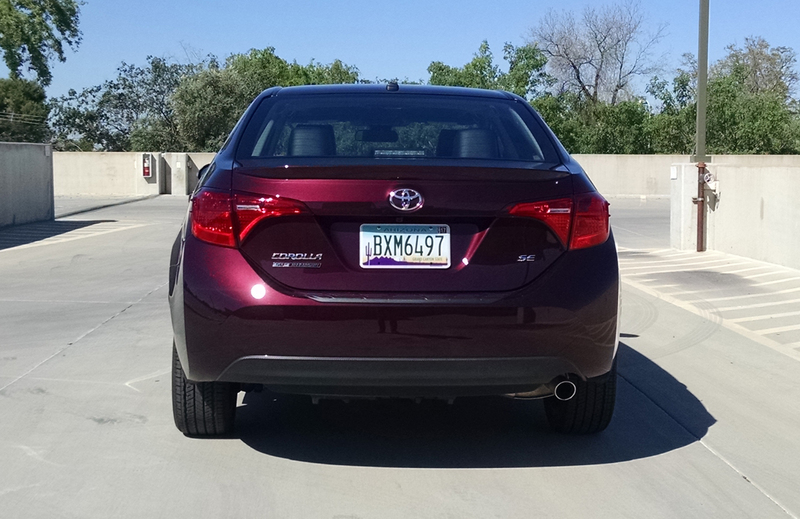 At the rear are new tail lights that feature an LED backup light built-in. 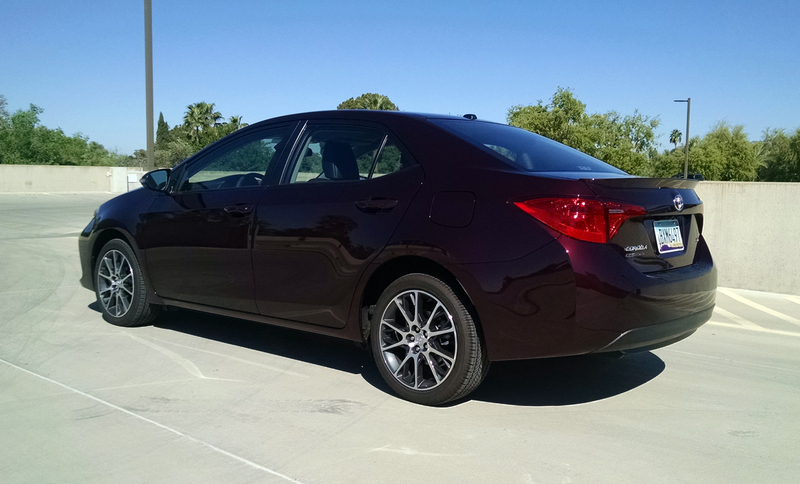 Painted in Dark Cherry and based on the SE trim, the 50th Anniversary Corolla features a number of special touches inside and out to make it unique. 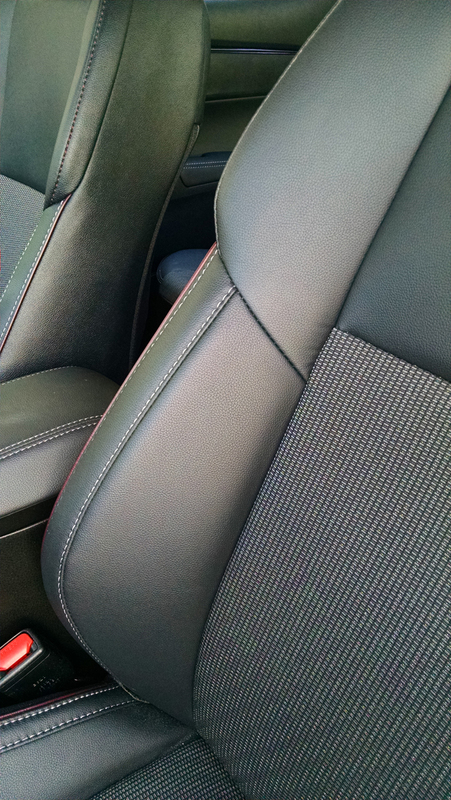 These include badges, its own wheel design, and a host of interior goodies too. 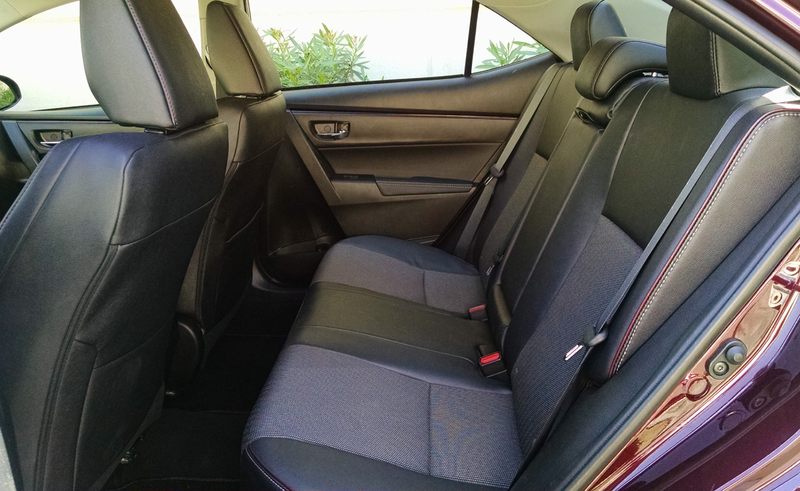 These include Dark Cherry trim accents on the door panels and custom accent stitching throughout the cabin along side white accent stitching. Floor mats also get the 50th Anniversary logo embroidered in, one Toyota where mats are included. 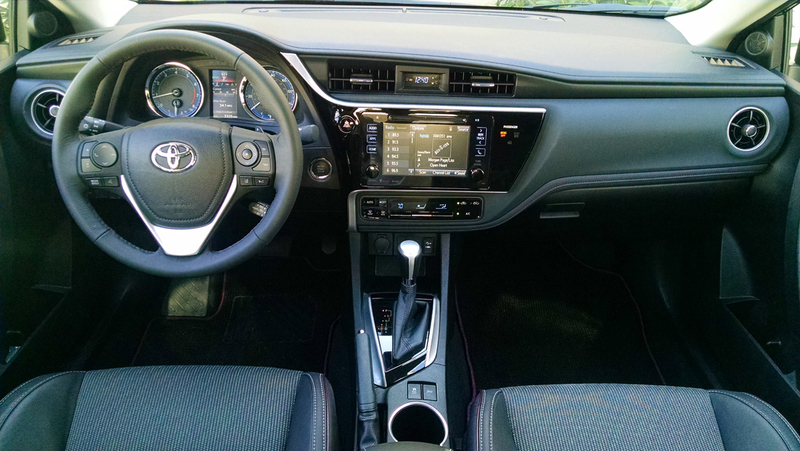 The audio system is near top of the line with the Entune suite of applications. Audio quality is mediocre as is the visibility of its touchscreen in the sun. 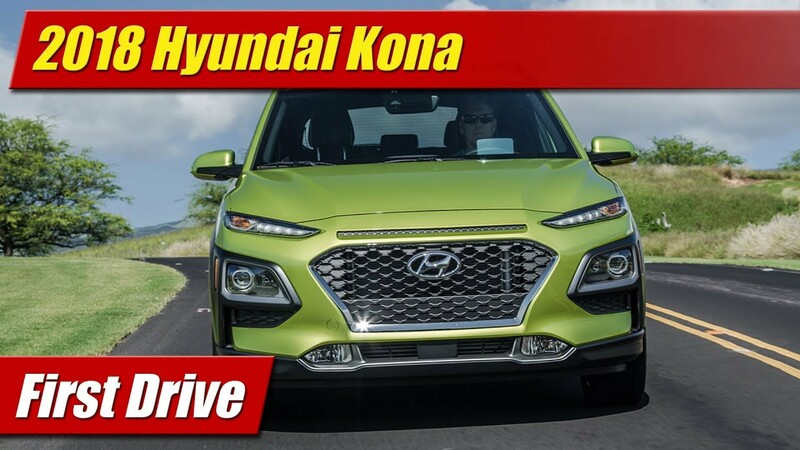 It’s missing some crucial features like Apple CarPlay and Android Auto and navigation requires your phone and its data plan. 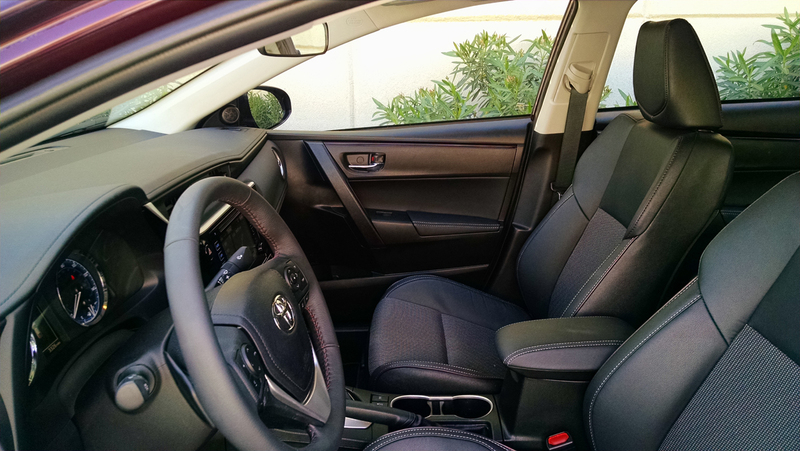 Comfort inside is reasonable with the manually adjustable seats. The steering wheel tilts and telescopes manually as well. 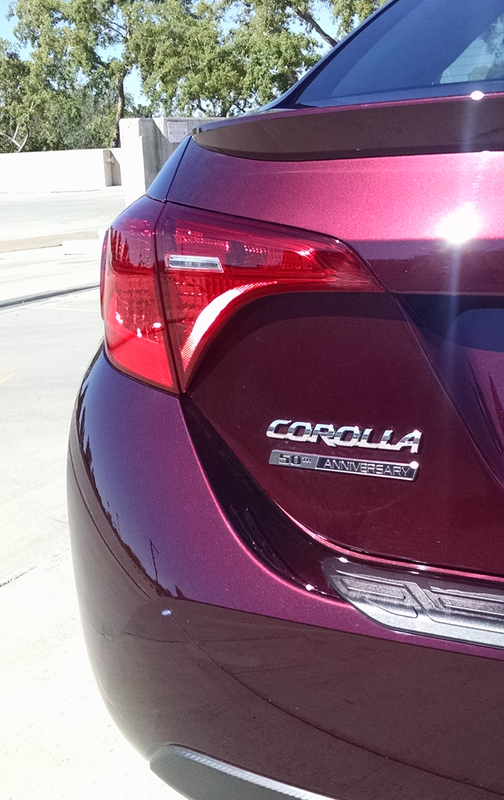 Motivating the Corolla remains a 132 horsepower 1.8 liter four-cylinder engine. 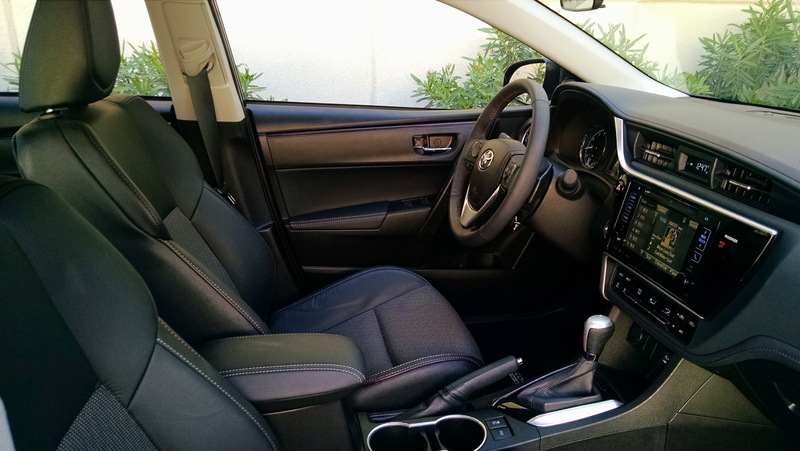 In ours was the continuously variable transmission or CVT that has a sport shift program. 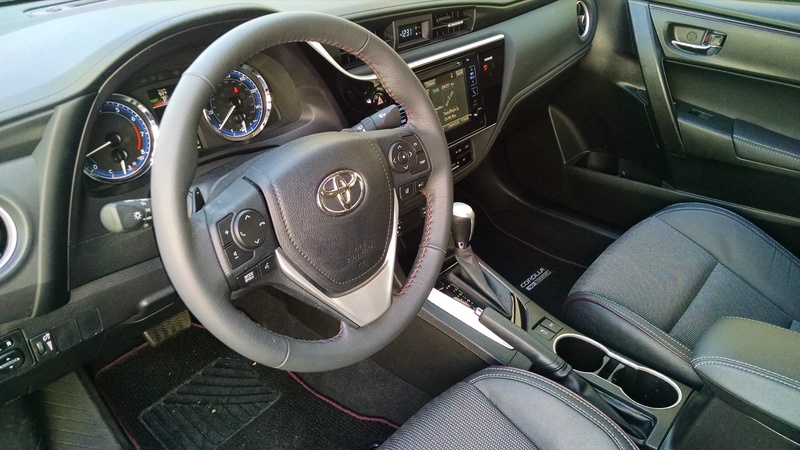 With the steering wheel mounted paddles it can simulate a traditional automatic. In reality however, the “shifts” feel artificial and only work sometimes. 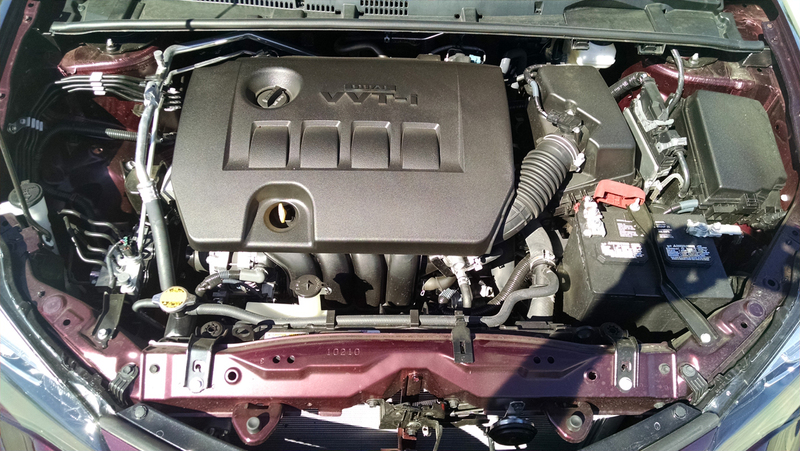 Power is lacking compared to most in class who offer 140-160 base engine horsepower. 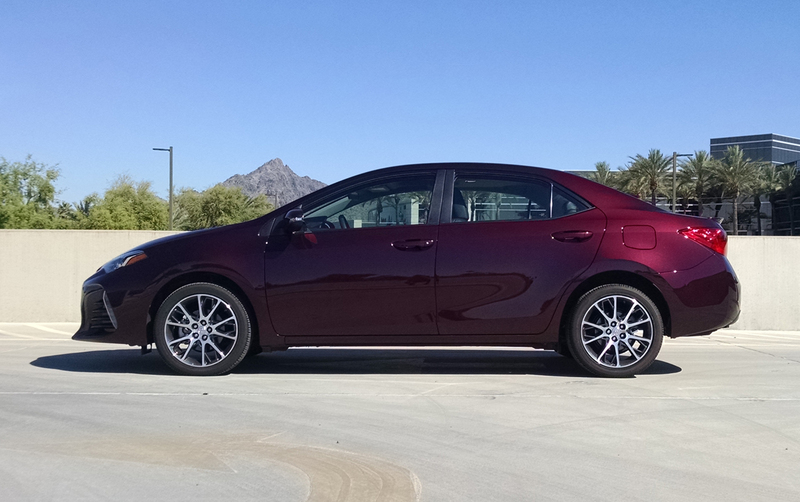 We did achieve 34 mpg combined however, an improvement over the 28 mpg city, 35 mpg highway and 31 mpg combined EPA rating. Handling too was lacking. 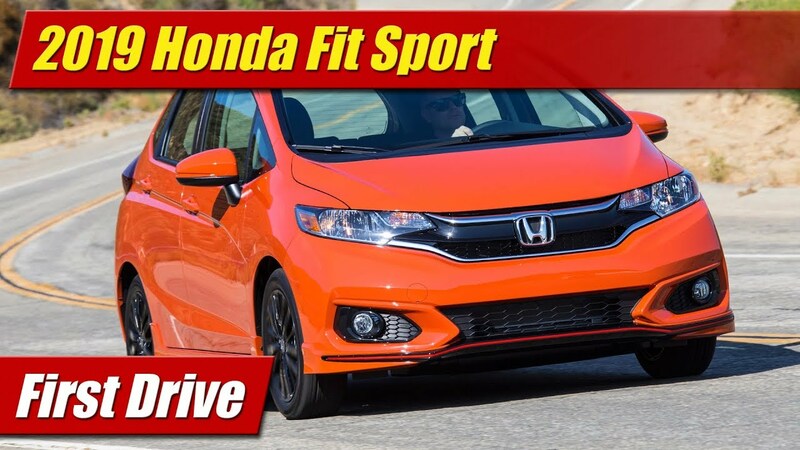 With its suspension tuning that seems to be lifeless and the clunky torsion bear rear axle, it doesn’t have the reflexes or refinement of many in class. 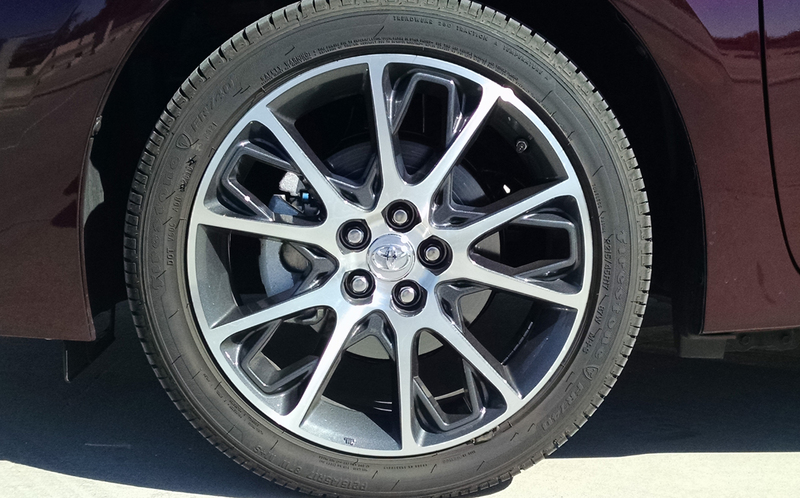 There is a lot of tire noise at speed and rough pavement comes to join you inside quite easily. 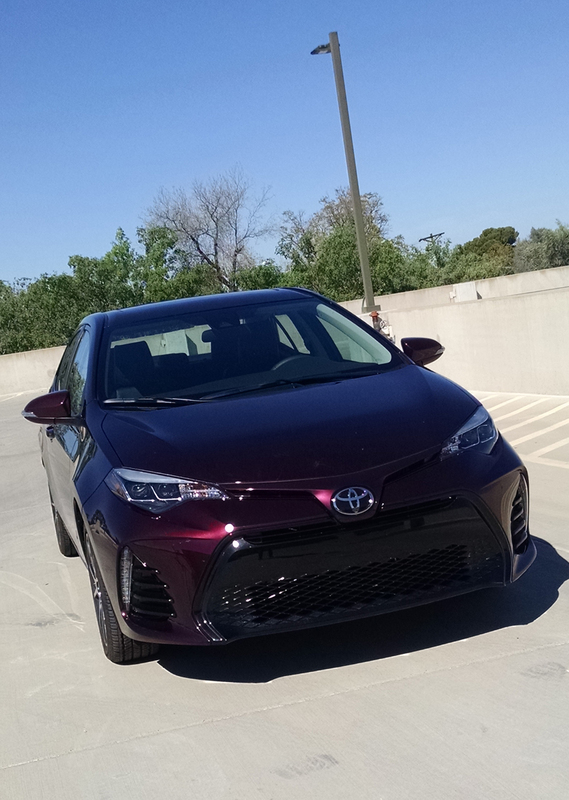 At $24,497 our tester had several stand-alone options which we felt made it less than competitive with cars like the Honda Civic, Hyundai Elantra and even Ford Focus when it comes to features and driving character for the dollar. 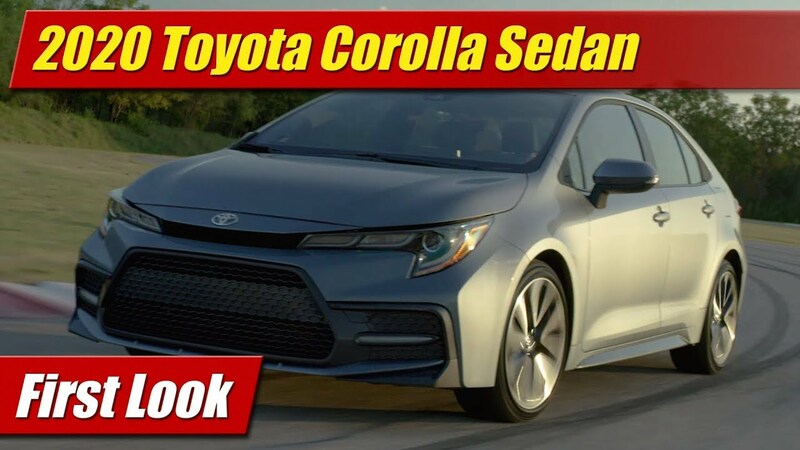 The Toyota Corolla remains however the second best selling compact sedan in North America, proving that not everyone cares about the little things. 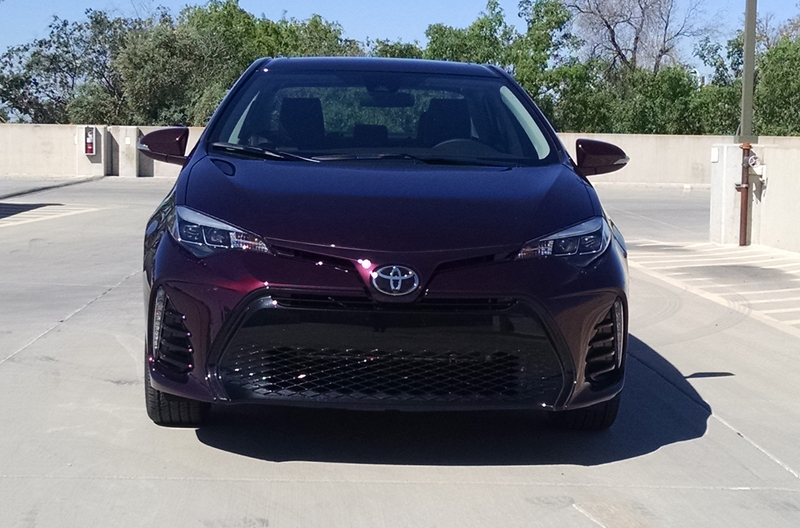 Instead rather, Corolla rules much on its reputation for being uncommonly reliable.